Do You Know Too Much About Jesus? A while back I was working through the Gospel of Matthew in my personal worship time. I came across a sad couple of verses at the very end of chapter 13. They challenged me and I thought they were worth passing on to you. The story is in Matthew 13:54-58. Jesus had been out in the countryside teaching people and doing miracles. As he moved from place to place he came to his own hometown. Instead of getting a hero’s welcome, he got cynicism. The people there immediately dismissed him. They knew Jesus growing up. Some of them played with him. Some of them babysat him and changed his diapers. They knew his family. None of them were of a mind to be taught by him. Not only did they dismiss him, they were insulted by him. ”Who is this guy to think he can teach us?” That was their mindset. The idea that Jesus might have something new to offer them was offensive. Before this, Jesus had been teaching and the crowds were struck by the power and relevance of his words. He had healed sick people and cast out demons, and the crowds were convinced that Jesus had divine authority. But in his own home town, people didn’t have time for him. Why? They Knew Jesus Too Well. They knew too much about Jesus – at least in their own minds. They thought they knew everything there was to know. They were the ones who had seen him grow up. They were the ones with special insight into the backstory of this famous new preacher. What could he possibly have to offer them? They were comfortable with the relationship they already had with Jesus. He was one of the kids who grew up with them. He was the son of their local carpenter. He wasn’t that special. For Jesus to come back into town trying to teach them, to tell them something new spiritually, that was offensive. It violated the relationship they already had. The end result was a missed opportunity. In their cynicism, they missed the opportunity for revelation. In their preconceptions, they missed the opportunity to conceive new life. In their insecurity, they missed the opportunity to see God work. Jesus came to their town, and they got nothing. The people who were special to Jesus because he grew up with them got nothing. Not because Jesus didn’t offer, but because they weren’t open. I’m one of those folks who “grew up with Jesus.” I’ve known about Jesus as long as I can remember knowing. Years of church school classes and sermons have populated by head with ideas about Jesus. 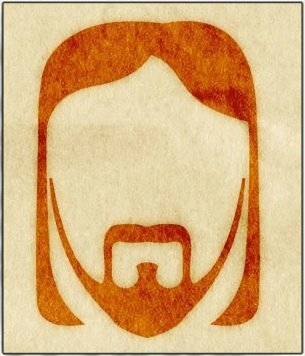 As a pastor, I’ve studied Jesus now for years. I can’t count the number of books I’ve read about Him. I can easily feel like I know everything there is to know about Him and His teaching. I am so familiar with Jesus that I run the risk of having my preconceptions shut the door to God’s new work. 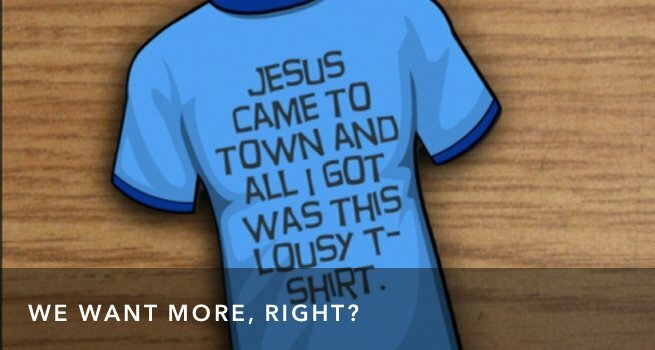 Do I know too much about Jesus? Is What You Already Know Keeping You From Growing? There are a lot of ways to apply this passage, but my heart immediately turned to worship. When I come to worship, am I coming with an expectation of meeting Jesus there? When I read the text, do I anticipate meeting God in the words? When I kick off the groove leading the worship team, am I open to the possibility of Jesus showing up and derailing my plan? When I stand in gathered worship, am I hoping for anything more than songs I know and like? The folks in Jesus’ hometown missed out on what He really wanted to do. It wasn’t because He didn’t show up. It wasn’t because He didn’t offer the same things there that he had been giving everywhere else. They missed out because their hearts weren’t open to the possibility. They missed out because they were cynical rather than given to wonder. They missed out because they thought they already knew everything there was to know about Jesus. Is expectation and openness a part of your worship experience? Is it possible that an old over-done song can still take your heart Godward? Is it possible that God can bring a new insight to you from a passage of scripture you’ve read a hundred times? Is it possible that Jesus can show up and reveal something about Himself to you that’s completely outside your box, or your theology, or your comfort zone, and that you’d be open to hearing it? I suspect that the power in our worship experiences is directly proportional to the expectation we bring. Matthew said the folks in Jesus’ town missed miracles because of their lack of faith. What about us?